Description: This workshop explored the history of Haiti and the Caribbean, touching on the literary themes of award-winning Haitian-American author Edwidge Danticat, and engaged educators in an activity on social justice and perspective-building to bring back to the classroom. 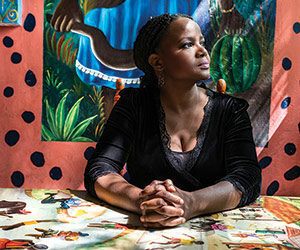 The workshop concluded with a public talk “This Side of the Water: Haiti and Life in the United States” and book signing by Edwidge Danticat. This special opportunity is not to be missed!